Are you an Windows XP user, You've must have heard about New Windows vista. Windows vista features a cool sidebar with widgets and you might get happy when I say, Yes It is possible to get Windows vista sidebar in windows XP. 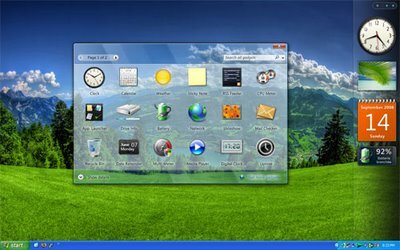 The sidebar introduced in Windows vista reminds me of Mac interface, The sidebar can hold widgets like Calender, sticky notes, clock, weather, Music player, Slideshow of your favorite pictures etc. It is really simple to get the sidebar working on your desktop, What you have to do is to download a simple sidebar from the below link and Install it. The sidebar is created by Thoosje.com and it is a part of Vista transformation pack. This sidebar also work for Windows 7 x64.